On April 24, 2013, the Rana Plaza factory, which manufactured apparel for Benetton, Primark, and J.C. Penney, among others, collapsed in Dhaka, Bangladesh. The disaster killed over 1,100 and injured another 3,000, most of them young women. In the tragedy’s wake, Bangladesh has tried to help the victims and their families, and to improve industry safety and working conditions more generally, with mixed results. Rana Plaza highlights both the best and the worst of what globalization and global supply chains bring to developing countries. Large-scale apparel manufacturing came to Bangladesh in the late 1970s. South Korean company Daewoo, better known today for its auto and electronics businesses, joined with local partner Desh Garments to found one of the first export-oriented garment factories, producing shirts. Many more followed–today the country claims over 5,000 garment factories with 4 million workers. In 2011, Bangladesh accounted for almost 5 percent of global apparel exports. The industry drives the domestic economy, representing 16 percent of GDP and spurring growth of nearly 6 percent a year for the last two decades. Apparel dominates exports, constituting over 90 percent of what the nation sends abroad. This trade has helped fundamentally change Bangladeshi society, in many ways for the better. Poverty rates have fallen from 70 percent in the 1970s to less than 40 percent today. The nation has made steady gains on the UN’s Human Development Index. And the garment industry gave particularly rural women an alternative to backbreaking agricultural labor and opened up the possibility of financial independence. 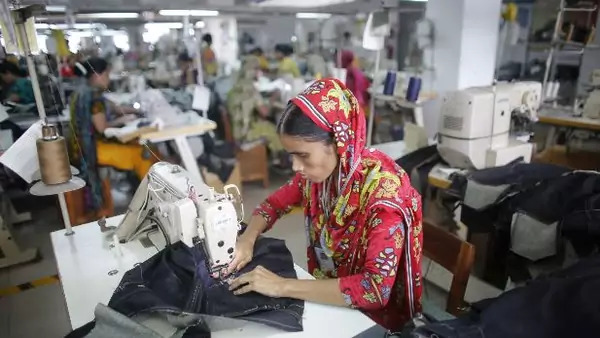 A 2015 study in the Journal of Development Economics found that Bangladeshi women with access to garment factory jobs delay marriage and childbirth and stay in school longer, as literacy and math skills are valued on the factory floor. Yet the industry also pays poorly and restricts union membership. Workers routinely suffer from respiratory diseases, injuries, and even death. Rana Plaza is just the worst of many incidences: in 2005 the Spectrum garment factory collapse killed 64 and 112 people died in the Tazreen garment factory fire in 2012. The often blatant disregard for labor rights and safety standards comes in part from the way these supply chains function. A 2014 study by the NYU Center for Business and Human Rights found that international brands such as Zara and the Gap operate through indirect sourcing. By subcontracting to purchasing agents, the big brand names have little to no access and oversight. And outsourcing continues on down the production pyramid: factories that receive contracts from middlemen often then subcontract themselves in order to scale up to meet the volume and time demands of fast fashion. So Zara rarely knows, much less inspects, these multiple levels of dressmakers, leaving little to no transparency in the manufacturing process. And there is scant loyalty from big brands pursuing the lowest nominal cost, limiting factory incentives to invest and making accountability all the more difficult. As production moves to smaller and more unregulated factories–some just rows of sewing machines in garages or homes–abuses multiply. These facilities often fail to maintain even basic safety standards, for instance supplying fire extinguishers in the overheated, fabric-filled rooms. Low wages, long hours, and disregard for safety standards create the conditions for disasters like Rana Plaza. The response to the Rana Plaza collapse also underscores the good and the bad of this global commercial connectedness. International organizations quickly pressed for improved working conditions. The International Labor Organization’s (ILO) Better Work Bangladesh program pushes for more monitoring by the government and the industry itself. International brands and buyers founded the Bangladesh Accord on Fire and Building Safety and the Alliance for Bangladesh Worker Safety to help change the dangerous status quo. Still, these programs only target companies on the books–an estimated 40 percent of the industry. And the government’s National Action Plan to upgrade the garment sector remains an aspiration rather than a reality. While the Accord and the Alliance have spurred some positive shifts, the government lacks the funds and the capacity to revamp the industry. Some foreign firms are changing their practices. H&M inspects its subcontractors’ facilities and offers incentives for better working conditions. Uniqlo is shifting the way it works with suppliers, creating longer-term relationships, providing 18-month forecasts, and compensating local partners for any lost production. Still others, including the Gap, haven’t altered their practices or signed onto plans to monitor and finance factory safety, arguing it would expose the company to litigation in the United States. For the actual victims of the Rana Plaza, compensation and justice lag. An ILO-managed Rana Plaza Donors’ Trust Fund for the victims just reached its USD$30 million goal. And only this June were factory owner Sohel Rana and 41 others charged with murder. As Bangladesh struggles to improve wages and working conditions, the public and private sectors worry about losing the industry and its jobs. After the 2014 police crackdowns in Cambodia, the government instituted a higher monthly minimum wage for its garment industry. In response, many Western brands began to look elsewhere. New countries–particularly those in Africa–hope to boost their own manufacturing potential by joining the apparel supply chain, competing with Bangladesh and others on cheap wages and low power costs. Automation, including robotic sewing machines, threatens to replace manual labor altogether. How Bangladesh addresses these challenges will affect its economy, its politics, and its people. Still, the possibility for a prosperous future remains deeply tied to trade and to remaining an integral part of these and other global supply chains.